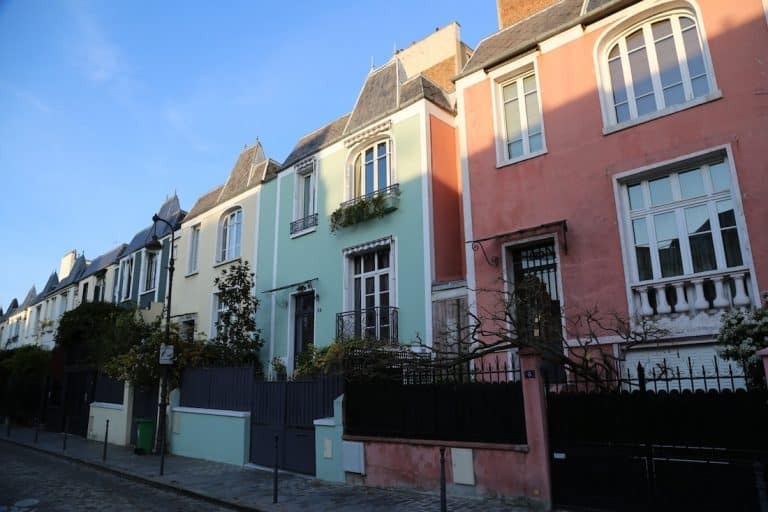 From Place d’Italie to the Mitterand Library, the 13th has not escaped the upward trend in prices, particularly for small apartments sought after by young buyers or investors seeing the potential of the area. 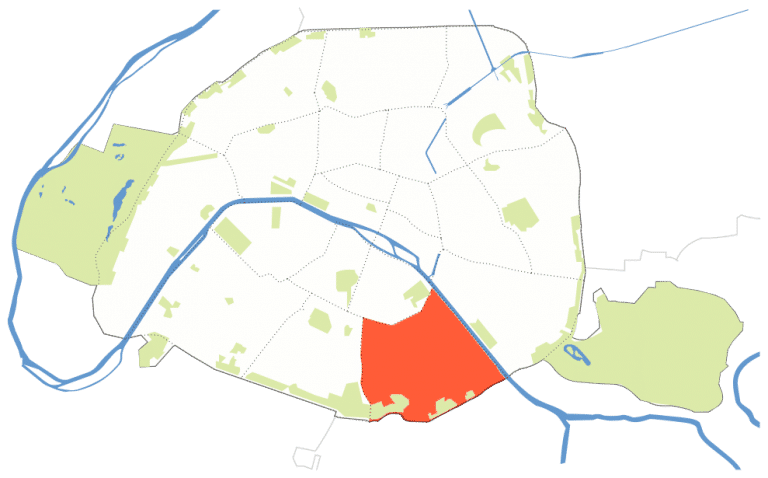 Prices are highest in the north of the 13th abutting the 5th arrondissement, toward the Boulevard Saint Marcel. Average price: 7,996 €/m2, ranging from 5,268 € to 11,054 €/m2 depending on the area. There are three restaurants on this street, all with the same name and all owned by the same family. However the one at #102 offers a sophisticated décor and a fusion cuisine of Vietnamese, Laotian and Thai that sets it apart from the surrounding kitsch. It is worth a trek out to the 13th just for their crispy rice pork nems. Taking inconspicuousness to another level, this restaurant is tucked away on the quai near Bercy. Japanese owner and chef, Mariko, cooks market-fresh foods, without oil or butter, in a warehouse space made for artists. Street art adorns the cement walls around the restaurant, and the clientele is mostly regulars looking for a fresh meal, at a cheap price. It’s a one of a kind restaurant amidst the refined dining of Paris’ culinary scene. Paris’ only floating hotel, the Hotel Austerlitz, has a sleek and trendy bar / restaurant that is addictive. The sparkling water from the lap pool and river make a light show that instantly puts you in vacation mode. You’ll never want to leave, and fortunately the hotel has gorgeous rooms, so you don’t have to. From 5 PM to 1 AM, there are signature cocktails and a large choice of tapas. And if you stay over, there’s brunch in the morning.